Easily expose interface fields in your script’s inspector without the need for defining a custom editor every time! Assign components that implement your interface as you would any other reference – just drag and drop. 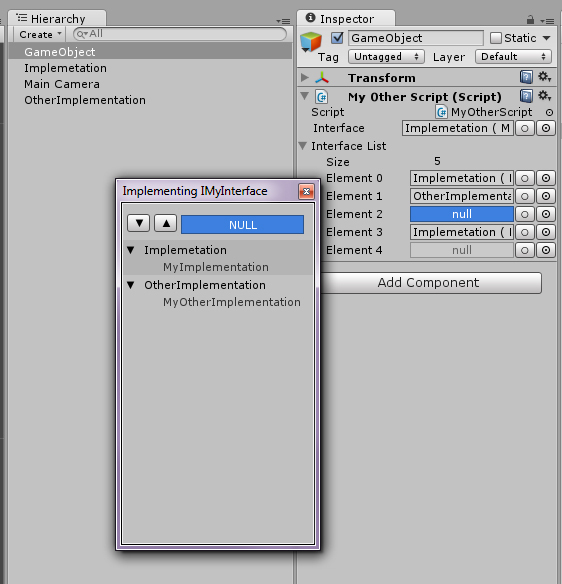 Custom selection list allows you to quickly pick your interface implementation from existing scene and prefab object scripts. Serialized like any other reference so Unity always “remembers” the assignment.